A collection of 3,245 photographs of Belgium’s royal family that dates back to 1934 are being auctioned next week by Henri Godts auctioneers in Brussels. The collection will be sold as a whole and is estimated to be worth between €1,500 and €1,800. The auction house has not shared where the collection came from, but the photos appear to have been taken by a royal photographer or at least someone who had direct access to the family. The majority of the photos are of Leopold III and Queen Astrid, taken between 1934 and 1939. 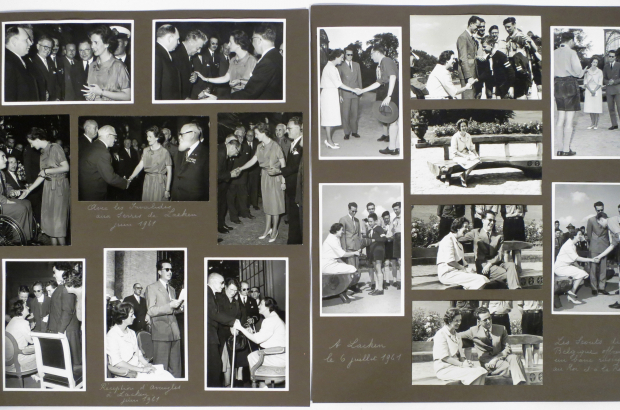 Some 650 photos feature King Boudewijn and Fabiola, and another 100 of King Albert and Paola. The auction will take place on 10 October at the Hotel des ventes Horta in Schaerbeek, with viewing possible until 8 October.